Our latest Case Study looks at how Bar Code Tracking with STRUMIS provides much needed traceability for Murray & Roberts subsidiary company Genrec Eng.(PTY)Ltd. Bar code data-collection systems provide enormous benefits throughout the manufacturing and processing phases of fabrication and Genrec Eng. (PTY) Ltd, in particular are cleverly extending these benefits further by tracking individual items within large scale projects. 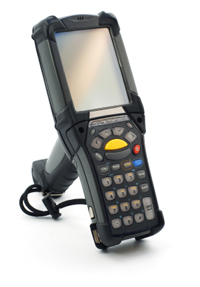 This bar code data-collection solution enables faster and more accurate data capturing with lower costs, minimised mistakes and easier data management through the STRUMIS system, now including site materials and piece tracking. The case study looks at the extension of the well proven technology of shop floor automation and production tracking via bar coding and STRUMIS for optimised workflow and real time traceability. Following bespoke development work a specially designed interface now enables tracking of all site and fabricated materials items with GPS location on demand.